Where to start! Is the timing correct? I would check that first, then I would go to the distributor to see if everything is behaving in there, then HT leads, then vacuum pipes, and finally the carb. Clean stuff before the messy stuff! I've had 4 polos and each one has suffered with crankcase breathing problems from blocking up to actually being sick, everywhere. They were all carbs though. Don't know what an mpi is but I'm guessing like most things that age it's a single point injection shoved on an old engine. There opens a whole new world. High co means it's not exploding properly and letting out unburnt fuel so it could be anything related to ignition, breathing or sensors. I imagine it has a coolant temp sensor somewhere? Despite what the gauge says, that'll run off a different sensor... Probably. You'll need to determine that the information the ECU is receiving is correct and you can do that by testing the parameters of the sensors. The hardest bit sometimes is getting that information to guide you. Google is your friend. Check it's breathing properly, check your Sparks. I'd second an air leak,Polo's were terrible for this, but if not,junkman could be on to something, Most polo's had a spray bar which could block up and wear the lobes. Check all the pipes at the airbox, and the servo pipe if it's fitted. Mpi = multi point injection, 3f is the engine code for the polo gt engine. I can't really help with the issues but this info might help others with the diagnosis. I’d guess coolant temp sensor . Duff sensor? bad earth for the sensor? failed heater? Edit: ^^^ post above, more likely to be right. Does this have a distributor & rotor arm? My Saab 900 was behaving *exactly* as though it was leaning out excessively when it turned out to have been fitted with the wrong rotor arm (bloody Intermotor catalogue). Odd thing was that it ran absolutely fine for a week before this problem surfaced suddenly and out of nowhere. Took me a month of faffing around before I randomly tried sticking the old rotor arm back on...problem solved! So how does the MAF or AFM sensor read, airflow and air temp? Yeah but is yours working properly is what I meant. Have you checked that the flap is measuring the airflow correctly at different stages? I know only too well what a bad AFM can do to engine performance and they wear out. What were your hc readings ? Co that high is often a misfire . Have you been adjusting the mixture screw on the airflow meter ? Put that back to std as a starter . i didnt note it all down ...i think it may have been 1300 ish , but at 9% it would be miles out no? should i be investing in a compression tester? Is the lambda sensor working and connected? Does it have an idle switch on the throttle body if it's a cable throttle, if so is it clicking when throttle is released? Does it say it's running rich? Leaner mixture needs a stronger spark. Are you getting a good, strong spark? 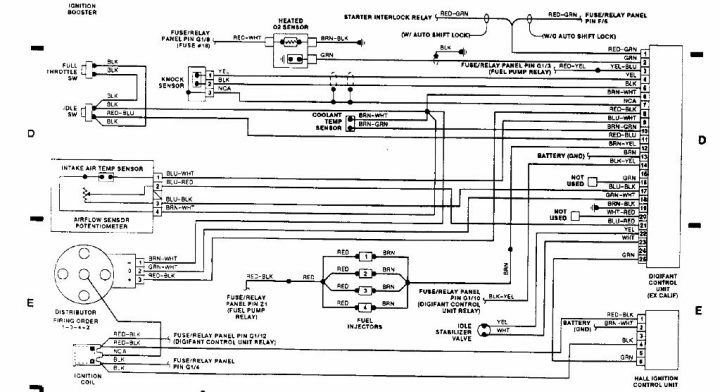 If it ran well and clean on carb, then rule out anything below the inlet , If it runs well on throttle, then it has to be connected to the idle circuit. Find out the settings for the idle voltages for the TPS if adjustable and set it exactly before anything else, then adjust around this. The ECU needs to know the throttle is closed.. I had a GT that ran rich and drank fuel. I changed most sensors (blue temp, lambda, tps) but never got to the bottom of it. It might sound strange but have you tried a different ecu?